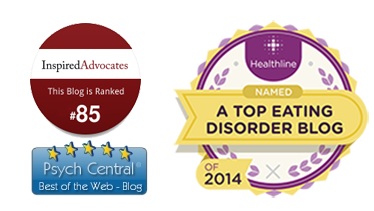 I do not believe that the media plays a major role in the etiology of eating disorders. And yet, in much of the eating disorder world, it has become accepted as an unspoken, self-evident truth that patients with anorexia and bulimia have developed their illnesses in large part due to their desire to emulate “the thin ideal” which our media promotes. Those who espouse this idea cite the Fiji Study, which demonstrated dramatically increased rates of body dissatisfaction and disordered eating amongst Fijian adolescent girls within the first few years after television was first introduced to the island. I, along with several of my like-minded colleagues, have raised concern over NEDA’s choice of Naomi Wolfe as the conference’s keynote speaker. As a feminist, I am a huge fan of Wolfe’s work. In her groundbreaking book The Beauty Myth, she presents convincing arguments about the myriad ways in which our culture and society are toxic to women. I couldn’t agree more. Our culture and society are harmful to all women and men, and certainly the media plays a huge role in triggering body dissatisfaction and disordered eating. (Incidentally, the media is a major culprit in the perpetuation of myths about eating disorders.) But disordered eating is not the same as an eating disorder. The Fiji study measured body dissatisfaction and disordered eating, not eating disorders. The disordered eating / eating disorder distinction is not just a matter of semantics. In fact, I believe that eating disorders are quantitatively AND qualitatively distinct from disordered eating, much as major depression is both quantitatively AND qualitatively different from sadness. Anorexia nervosa has existed for centuries, long before the advent of television and internet and fashion magazines, and long before disordered eating became the norm. 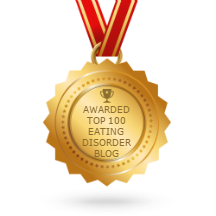 I think it would benefit our profession tremendously to arrive at a consensus regarding the definition of “disordered eating” and how it differs from eating disorders. The confusion between eating disorders vs. disordered eating is a major contributor to society’s (and some professionals’) lack of understanding of eating disorders. People who engage in disordered eating are, on some level, responding to their environment in choosing to engage in certain eating behaviors, whereas people with eating disorders are caught in the grips of a terrifying mental illness which will not allow them to do otherwise. Disordered eating is very widespread in our country, especially among women. I define disordered eating as a persistent pattern of unhealthy or overly rigid eating behavior – chronic dieting, yo-yo dieting, binge-restrict cycles, eliminating essential nutrients such as fat or carbohydrates, obsession with organic or “healthy” eating – coupled with a preoccupation with food, weight, or body shape. By this definition, I think well over half of the women in America (and many men as well) are disordered eaters. The way I see it, disordered eating “comes from the outside” whereas eating disorders “come from the inside.” What I mean is this: environment plays a huge role in the onset of disordered eating, such that the majority of people who live in our disordered culture (where thinness is overvalued, dieting is the norm, portion sizes are huge, etc) will develop some degree of disordered eating, regardless of their underlying biology or psychopathology. In contrast, the development of an eating disorder is influenced very heavily by genetics, neurobiology, individual personality traits, and co-morbid disorders. Environment clearly plays a role in the development of eating disorders, but environment alone is not sufficient to cause them. The majority of American women will develop disordered eating at some point, but less than 1% will fall into anorexia nervosa and 3% into bulimia nervosa. The Fiji study was indeed groundbreaking. It demonstrated the enormous impact of the media on teenage girls’ feelings about their bodies and attitudes towards food. But the study did not demonstrate a causal link between the media and eating disorders. Furthermore, our knowledge that the media makes girls dislike their bodies, while important in its own right, has not yielded useful information with regards to developing effective treatments for eating disorders. And isn’t that the whole point? I would like for our field to accept the Fiji study for what it is – a fascinating sociological study which confirmed empirically what we already knew intuitively – and push forward towards a deeper understanding of eating disorders so that we may develop and implement more effective treatments. Last weekend, I attended the annual National Eating Disorders Association conference in New York City. It was a fantastic conference and an exhilarating experience, a whirlwind of thinking and conversing and listening and networking. That said, I attended a few lectures that made me cringe and perhaps set the field back a few years. One well-known psychologist and author stated in her lecture that there’s a false dichotomy between research and practice, because all clinicians are, ipso facto, researchers. She went on to explain to the clinicians in the room that that if you work with eating disorder patients and you contemplate eating disorder issues, then you are a researcher. I think, therefore I am…a researcher? And therein lies the rub. Working with eating disorder patients and thinking about them does not make you a researcher anymore than watching MSNBC and contemplating the mid-term election makes you a political scientist. Historically, a major problem within the field of eating disorders is that etiological theories were formed, and treatment approaches created, based upon clinicians’ casual observation and reflection. Hilde Bruch, MD, who wrote the highly influential book The Golden Cage (1978), based her theories on her observation and treatment of the anorexic patients in her practice. Bruch concluded that anorexia nervosa occurs almost exclusively in upper-class white families (because those were the families, residing in her primarily Caucasian neighborhood, who could afford to enter treatment with her), that dysfunctional patterns of family interaction are key in the etiology of anorexia nervosa (because she observed strained and tense relationships between her severely ill patients and their worried parents) and that anorexia represents a misguided attempt at forming an identity and asserting some control over an otherwise uncontrollable life (based upon the self-reports of malnourished patients suffering from a brain disease). This book was immensely popular amongst clinicians and the general public, as it was the first book to attempt to explain anorexia nervosa, and these theories became professional dogma. Bruch’s ideas spread like wildfire, and it would be many years before scientific research would be published to counter her claims. And to this day, more than three decades later, many clinicians, anorexics, and their families still hold these beliefs. 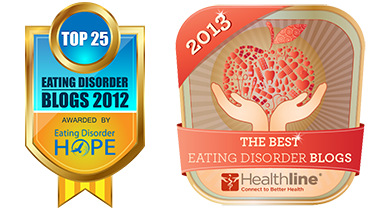 It is essential, therefore, that the most recent scientific research on the etiology and effective treatment of eating disorders is featured prominently and unapologetically at local, national, and global events aimed professionals, patients, and families in the eating disorder world. The new message cannot be muted or diluted with antiquated theories or treatments under the politically-correct assumption that all ideas are equally valid. As it is, big-name wealthy treatment centers get the most publicity, most likely because of their massive donations to eating disorder organizations who feature them prominently in exhibit halls at conferences. People are so easily swayed by catch phrases and neat giveaways and glossy brochures featuring impossibly happy eating disordered teenagers riding horses and finger painting. But these centers do not necessarily offer the most effective treatments. If we want our field to make progress, if we truly want to save more lives and rescue more sufferers from the agony of this illness, money cannot trump science. My friend Carrie Arnold and I gave a standing ovation to that one and clapped until our hands hurt. We invite you to join us in doing the same.